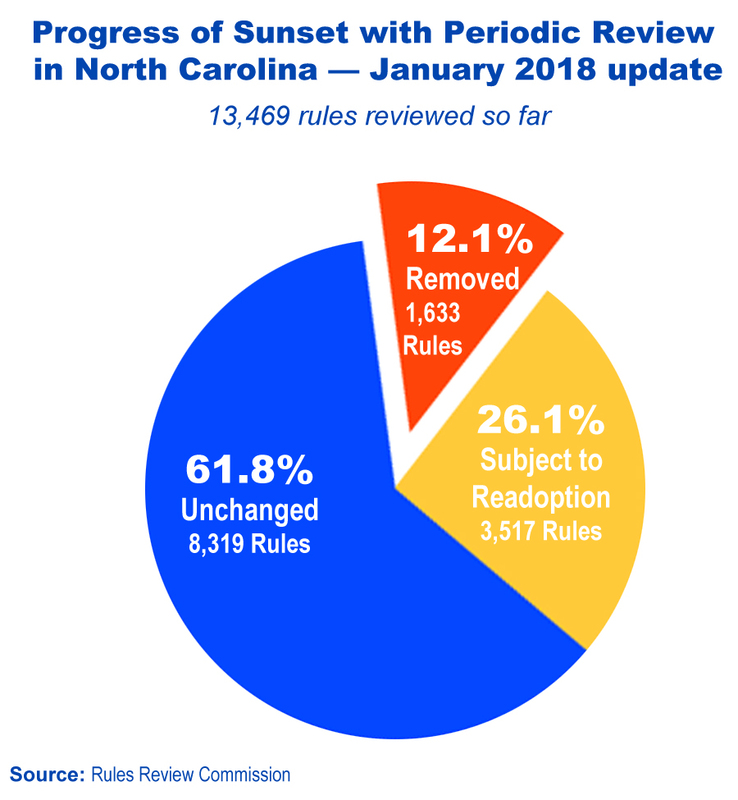 Under a significant reform passed in 2013, state rules either are sunset (get repealed) or are reviewed every 10 years. Agencies decide whether their rules under periodic review are either still necessary or are unnecessary. The “unnecessary” ones get repealed. So far about one out of every eight rules reviewed has been repealed, which is a big deal. But the process has ended up allowing a large majority of “necessary” rules to continue without any extra scrutiny. There’s a simple fix for this problem, and it’s been endorsed by the chairman of the Rules Review Commission. Have all “necessary” rules be subject to the readopting process, so that all rules either sunset or actually get reviewed every 10 years. The House and Senate seem to agree, as both chambers passed versions of that same reform in 2017. This year, that reform is a provision in the current version of Senate Bill 735.